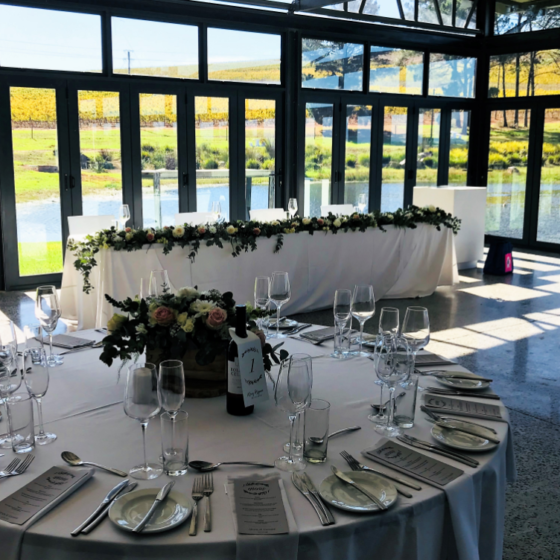 Our wedding venue, with it natural setting, modern glass conservatory and outside reception area makes for a picture perfect day in the Cape Winelands. 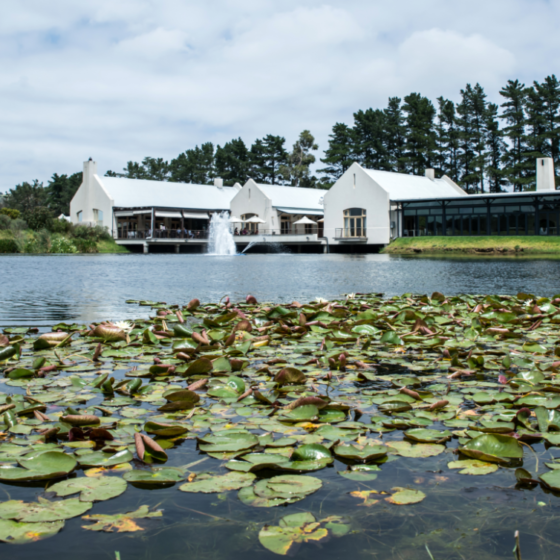 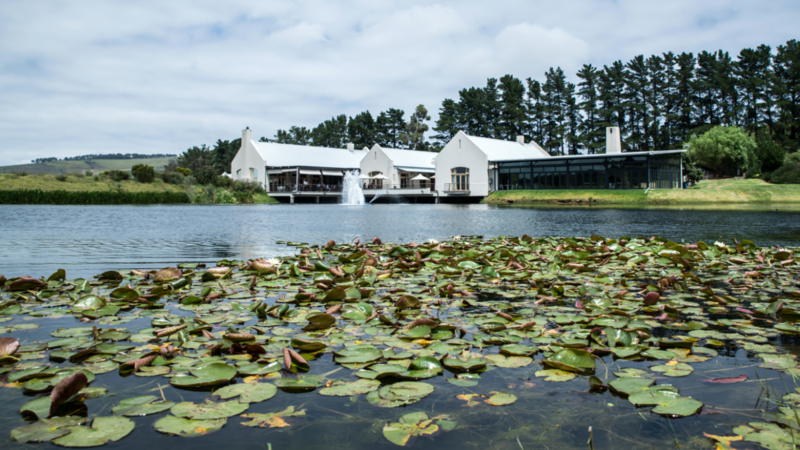 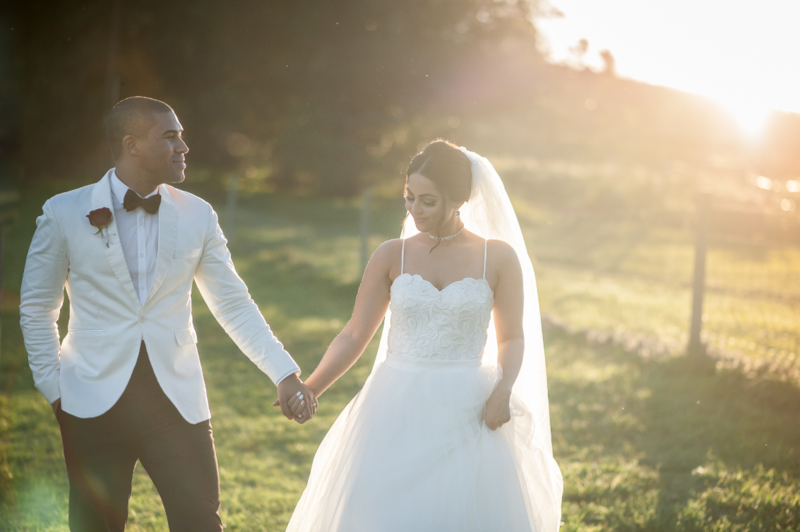 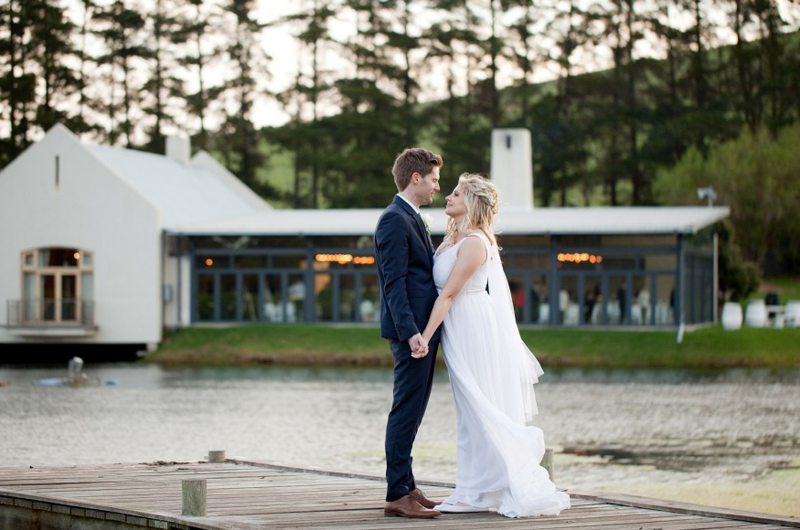 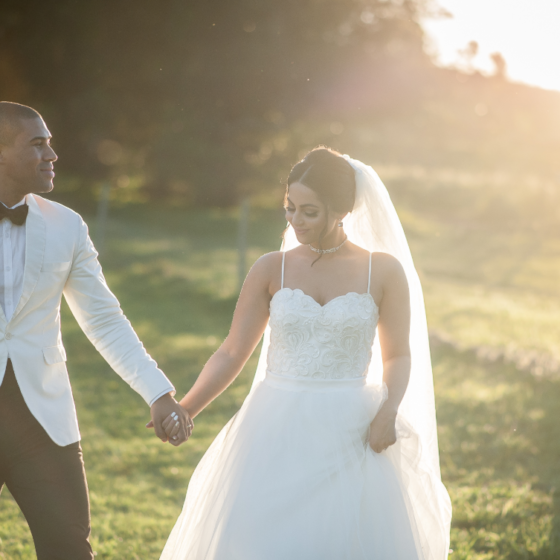 Situated in the heart of the Durbanville Wine Valley on the Nitida Wine Farm, is the wedding venue every bride dreams of. 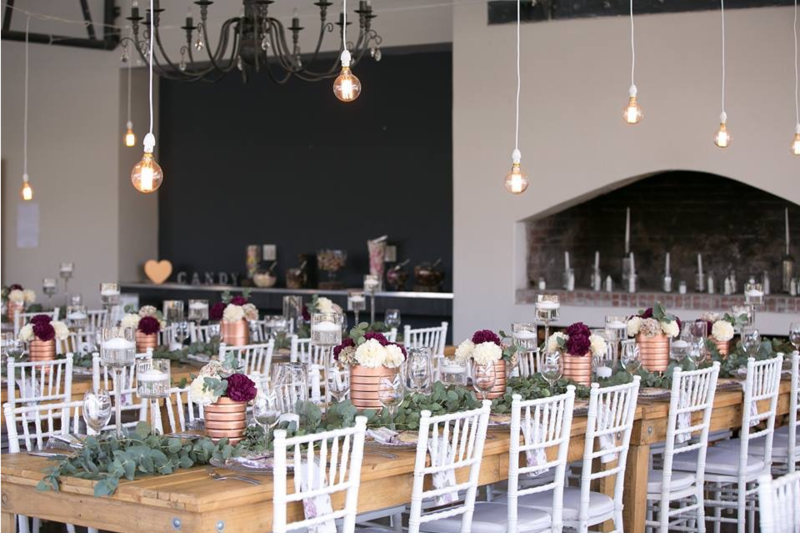 The dedicated functions kitchen offers pre-designed function menus at various price points but these are flexible to suit individual needs and dietary requirements. 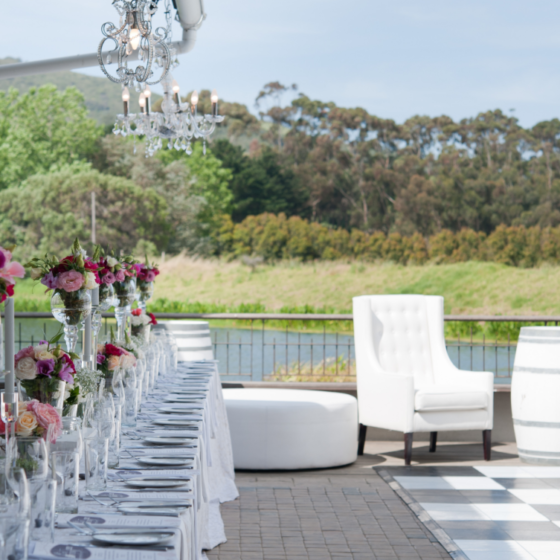 Our team will design an individual menu specifically suited for your special day. 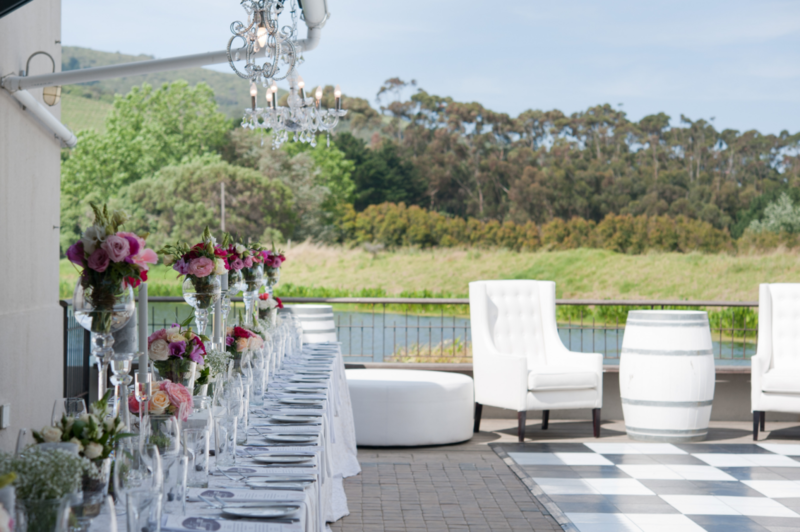 The Saffron Room is completely self-sufficient, accommodating 30 – 200 guests depending on configuration. 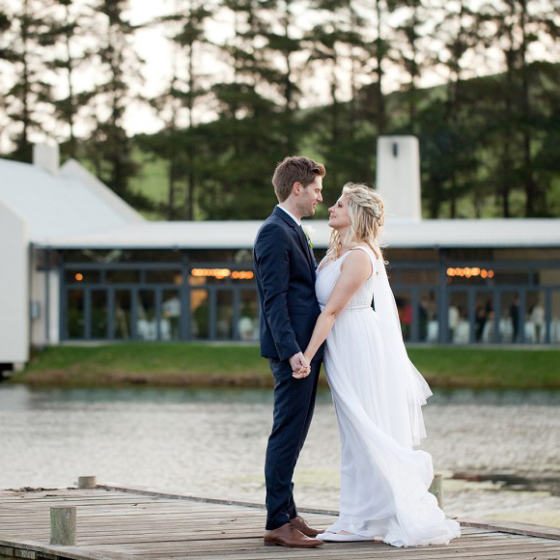 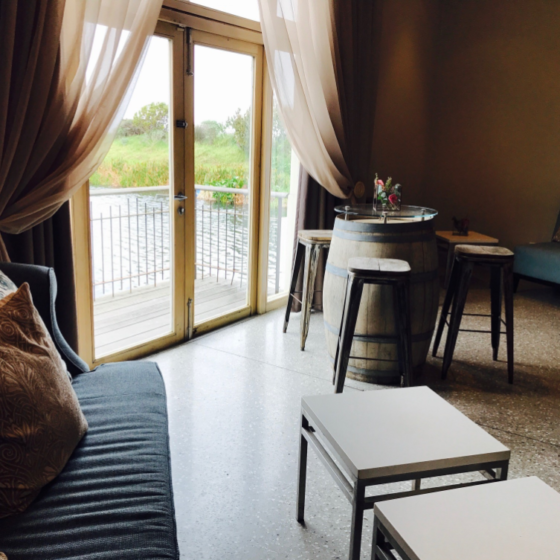 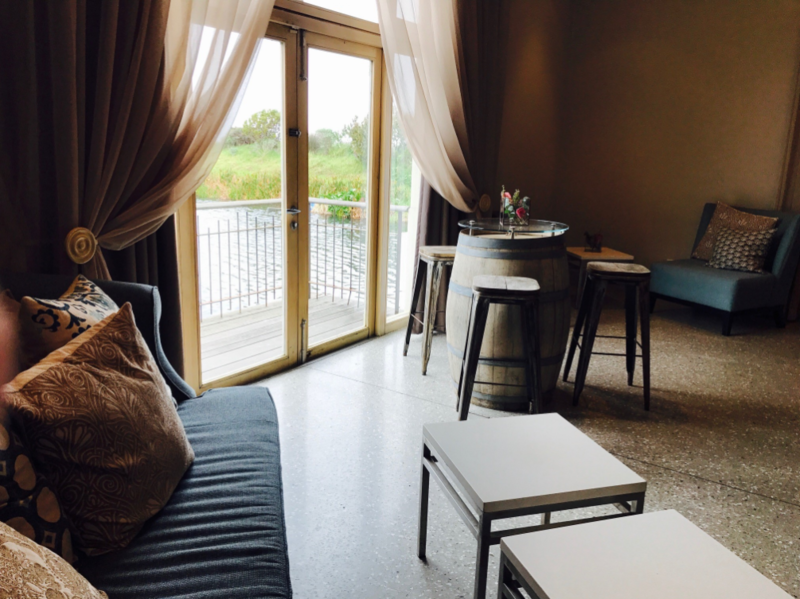 The ceremony can be performed on the farm; in the Saffron courtyard or in the Saffron Room. 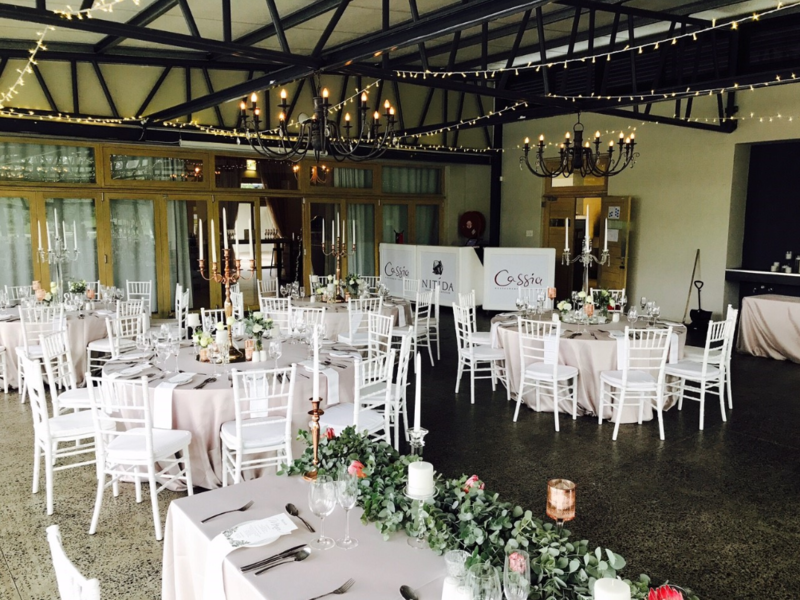 Venue hire includes crockery, cutlery, chairs, tables & glassware for up to 120 guests. 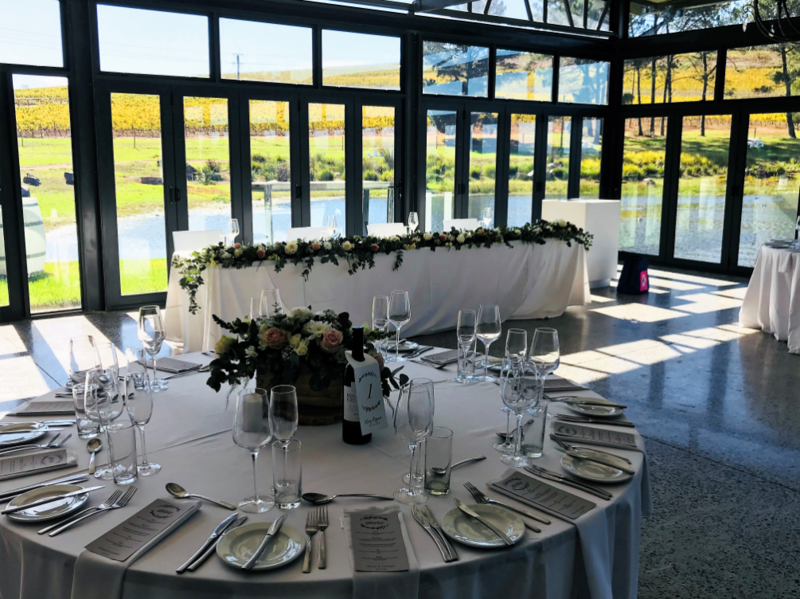 We offer a variety of mouth-watering canapés which our dedicated service team will serve accompanied by a glass of Nitida MCC. 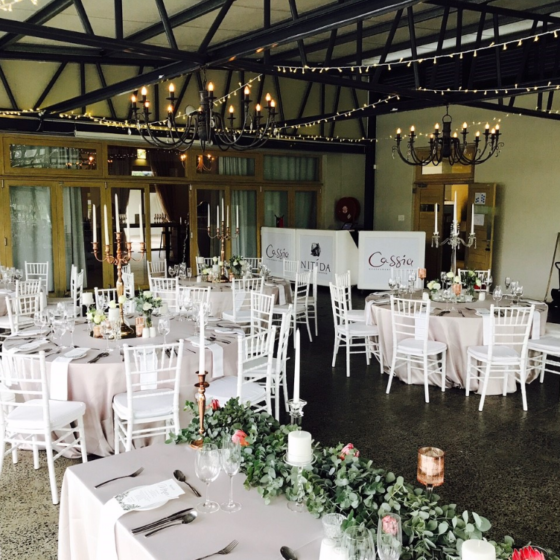 Keep in mind brides and grooms, a 50% Discounted Venue Hire Fee is offered for the winter months from 01 May to 30 September. 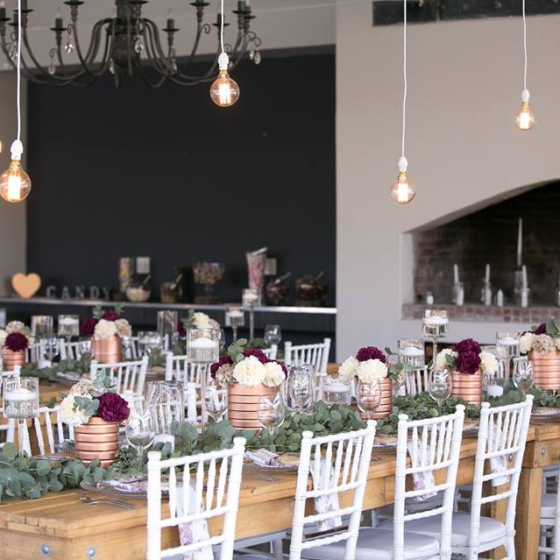 We are also happy to assist with a list of preferred suppliers for wedding coordinators, décor, sound, photographers and cakes.